EFC5610 is a universal, low-cost frequency converter for reliable speed control and demand-oriented energy supply. V/f control, SVC and FOC control, easy installation and commissioning as well as an increased power range enable a wide range of applications. 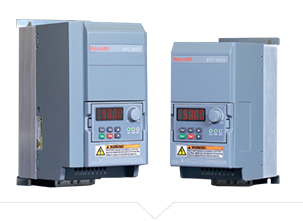 Simply practical: removable operating unit with accumulator function, optional LCD plain text display, simple parameterization using autotuning, copy function or USB port – for quick, reliable series-production commissioning.